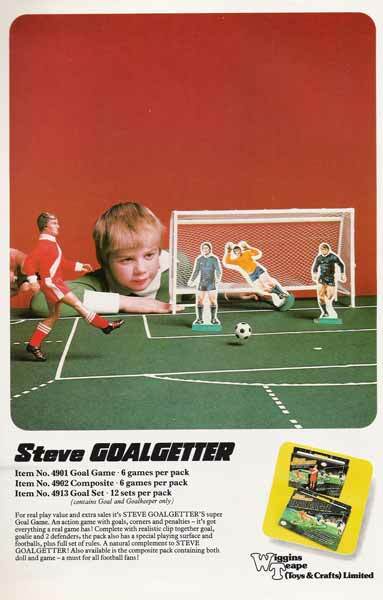 After ten years of searching I have finally found the Steve Goalgetter Goal Set game. How sad is that? 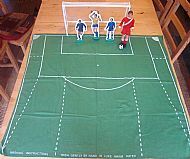 The game components are a mix of the Steve Goalgetter figure plus the Johnny Hotshot game goalkeeper handle and goal frame. 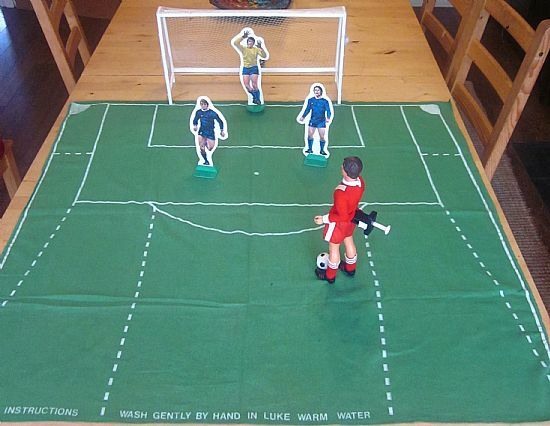 The figures are unique to this game. 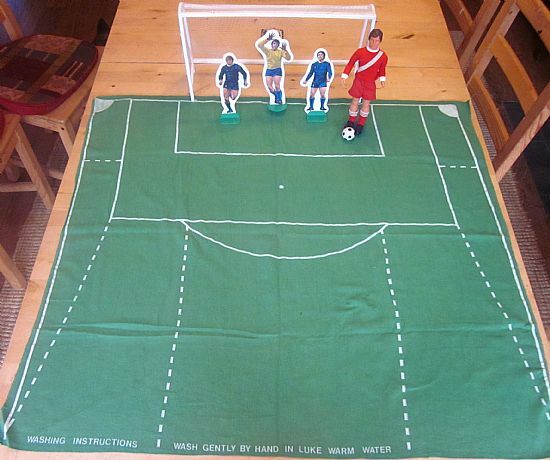 Unbelievably rare set containing Steve, trigger, goal, 2 defenders, baize pitch, goal, goalkeeper with rod and ball. 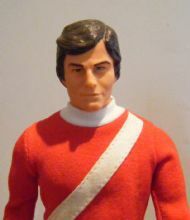 I just wish I had the box. 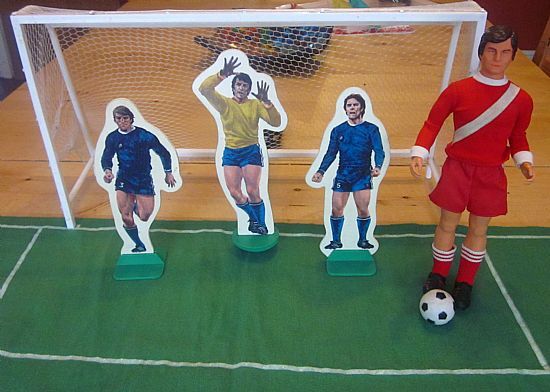 Steve's dominance is probably down to the fact he is playing against midgets. 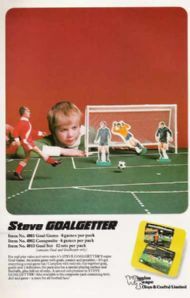 This ad taken from the Mego Museum website shows the game as it was advertised. Steve preparing to bang one in. Half a pitch divided up into zones so Steve can rifle one home from any angle. 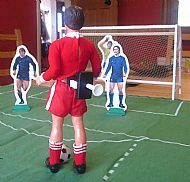 A big syringe up the bum was all the motivation Steve needed. Always remember to wash your pitch!